How to work as an Electrician in Australia? For a lot of overseas qualified Electricians or other trades workers, it is very confusing to find what you need to do to work in your occupation in Australia. Therefore we have outlined the steps you need to take to apply for a visa and work in Australia. To be able to work in many different trades in Australia, you are required to hold a license for the occupation. Unfortunately there is not one single licensing body for all trades. This is due to the fact that licensing requirements vary throughout the different States of Australia. Generally speaking any electrical work MUST be done by a licensed electrician. It is common for many foreign trained electricians to work as a trade assistant for a construction or electrical company, however you are not allowed to undertake any electrical work if you are not licensed. A trade assistant assists a qualified tradesman and is not qualified in the role. If you are already in Australia on a student or working holiday visa, then you can apply for a license to work here. The first step towards applying to work in Australia is that you apply for an Offshore Technical Skills Record (OTSR). Obtaining a full license in Australia can take a considerable amount of time. Below is a brief outline of the steps required to gain licensing for someone who is qualified in their trade in their home country. Please note the licensing requirement can vary in each state of Australia. Apply to have an Offshore Technical Skills Record (OTSR). An OTSR is done through a registered training organisation. There are numerous organisations eligible to provide an offshore technical skills record around Australia. A provisional license allows you to work in your trade under the supervision of a licensed tradesman. During your provisional license you will need to undertake additional training in order to be provided with the Australian qualification to work in your occupation. Whilst on a provisional license the holder must work supervised in Australia and undertake gap training, or Australian specific training. For example you will need to undertake a training course in Australian safety standards. When you obtain your OTSR you are generally given a list of short courses or training that you must undertake in order to obtain this license, and a time frame in which you must complete this training (usually 12 months). Provided you have completed the required gap training and the required supervised employment, you can then apply to obtain an Australian qualification for your trade. This is done through the RTO. This is the same qualification that someone who completed an apprenticeship, or undertook the education in Australia obtained. Apply for a full license. Once you have obtained your Australian qualification and the relevant gap training, you can then apply for your full license in the state you would like to work. Please note having a full license to work in Australia does not guarantee you a work visa. You will still require an employer to sponsor your visa or apply through general skilled migration. A provisional license is often granted after you have completed your OTSR. On a provisional license you must work under the supervision of a licensed tradesman. However you can undertake gap training in order to obtain your full license. On a full license, you can work unsupervised as an Electrician in Australia. Having a license to work in a trade does not mean you will qualify to obtain a work visa in Australia. Additionally, you may be able to obtain a work visa to Australia without licensing (however you cannot work in the role until you obtain full licensing). Most common visas to work as an Electrician in Australia? What visas require a skills assessment. 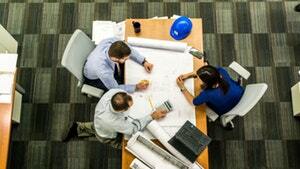 For most countries, only general skilled migration visas require a skills assessment. However certain countries require a skills assessment before they can obtain an employer sponsored (TSS, 186 or 187) visa. • For employer sponsored visas (457, 187 or 186) licensing is usually required, however visas are often granted without a license in place. The applicant cannot start working in the role without a valid license. • Students or Working Holiday Makers do not require a license for the visa, however may obtain a provisional license or work as a trade assistant to a qualified tradesman in Australia. 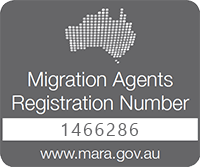 General Skilled Migration (189 or 190) is a permanent visa in Australia that does not require an employer to sponsor. Employer Sponsored (TSS, 186 or 187) visa allows the visa holder to work in their trade for the company in Australia. It may lead to PR after 2 years. Unfortunately international students cannot undertake an apprenticeship in Australia. However there are many international colleges that offer courses that allow you to become a qualified trades person in Australia. Most of these courses include at least 360 hours of work experience with a qualified trade person. Below is a list of employers who may consider taking on people in Australia who hold a valid working visa. Location: Brisbane, Sydney, Perth, Newcastlehttps://www.inselec.com.au/contact-us Positions: Trade assistants/ labourers, licensed electricians, WHV, Student visa and Skilled visa. I have 5 year experience in india in Electrical and instrumentation Eng.,but now i am want switch.please tell me wht is the best way to get job in austalia. What a fantastic resource for electricians! Thank you so much for writing this. I’ll be sure to bookmark this in case anyone in my network needs it. Thanks. An electrician is a tradesperson specializing in electrical wiring of buildings, stationary machines, and related equipment. Thanks for the blog and the references. Do you have qualifications also? Drop us an email at [email protected] and let us know your level of qualification and how many years experience post qualification. Unfortunately we can’t help you find a job but we can help with the appropriate visa! I am an Irish qualified electrician. I work in the UK so also have the English equivalent to my qualifications. Along with my quarry safety passport and scissor lift and cherry picker licence.Ive been doing this for 12 years. Do I really need to spend a year scraping by on mates rates as well as forking out money for education and exams? It sounds like I have to redo my apprenticeship. Or is it easier and quicker than that? Mate, there is an option to have your skills assessed in the UK. We will email you a list of skills assessors and you can find one in your local area. Let us know if you need assistance with your visa etc. I am also looking into moving to Australia, I have 11 years experience as a panel builder and Wireman and also just past my level 2 and level 3 2365 city and guilds electrical course. I have been trying to find out the best way of going about things and if my electrical qualifications are recognised in Australia by going to a few company’s and asking, sadly nobody seems to know anything. If you are in the UK, there are plenty of places you can get it done. However, even by getting your skills assessed, it does not guarantee a visa mate. I`m a German qualified electrician. I have been in Oz a few times also working on the working Holiday Visa in 2005 & 2012. In 2012 I worked TA installing Solar around NSW. Is there any chance for me getting back ? I reckon No because I would have done the OTSR etc, when I was there on my WHDV ?! Hi Marten, have emailed you directly. I am a 4th year electrician (4years working and 3 schooling semesters) in Canada looking to finish or work in the trade in Australia however possible. What is the best way for me to get involved. I am a fully qualified electrician have been for over 15 years in the UK, Do I need different qualifications to work in Australia. I am trying to get PR for Australia,Currently i am working in Kuwait as a lift Technician. Kindly inform me can i get the job in Australia as a lift Mechanic/Lift Installation/Maintenance Supervisor/Lift engineer. I have completed Diploma in Electrical in 2005 in India. Does i need to obtain a license for lift mechanic in Australia? How much salary i can get initial stage? Is it that easily i can get the job after i land in Australia on 189/190/457 PR visa? I am a fully qualified electrician in the uk. I qualified in 2009 whilst running my own kitchen fitting business as it was an avenue I was interested in and needed to because of new regulations. I then finished my business and worked in aerospace manufacturing- not electrical related. I then got a great job working as an electrical test technician for hitachi rail and have been there for the last two years. Am I eligible to do the OSTR? We have been granted permanent residence visas through my wife’s skills. Would you please guide in detail to get electrician license within timeline. I am skilled electrician (in India ) & looking forward to process my PR 190 application very soon. After already working on a an electrical project on east coast through a UK company recently as an electrician etc. Hi, I have 3 yr Diplom in electrical engineering with about 14 yrs of experience. I have applied for visa against sponsorship received from SA for 190 visa (General Electrician). Expecting visa grant by May-18. I have my OTSR done through VETASSESS. Please guide me what are the various steps involved till I get my license and can be employed or free lance. Hello, if you could give me advice, I would appreciate very much! Our family is planning to migrate to Sydney with husband’s visa 186. He has finished high school for electrician (general). We have heard that one man hwo got visa 186 at the same employer, has been deported after 2 weeks working because some inspector came and concluded that he does not work well. I must say that he was experienced electrician. My husband is not so experienced, but we hoped as this is our friend (employer), he could get a chance to learn more. Could this really happen? Is it possible that after you pass skill test, you can be deported even with visa 186? Thank you very much! This is a great article and resource… However, I am looking for further info to help obtain employment in beautiful Australia! I am a licensed Industrial Electrician (Red Seal) from Canada with 9 yrs experience with a predominant background in the mining and oil & gas industries. Would I need to complete the offshore technical skills record and if so, what does it require and can I do it from Canada? Also, if there are any skill gaps I need to fill, can any of the requirements be completed at a distance as well? I will be applying for employment shortly but would like to know what steps I should take first… is it best to apply/obtain a Visa first or apply for a job hoping to seek sponsorship? Did you find an answer to your questions? Can you do it online before you go? I’m a Nigerian, I have 4years working experience in electrical installation, how can I work in Australia ?? Good day, I want to ask how to apply for vocational course. Although i dont have experience in Electrical but in Graphic design . I will be completing a past a level 2 and level 3 2365 city and guilds electrical course in the next 6 months. I currently have an Electronic and Electrical Engineering Degree whilst having experience with a reputable company in the UK for the last 4 years. The Electrical course is more of a top up and once completed I would like to use this to continue working towards becoming an electrician ( total change of career).With me completing this electrical course, is this qualification recognised in Australia? Would I need to complete further training? There are the best tips how to work as an electrician. I really inspired by your blog because there are better knowledge for beginners. This is the perfect blog for anyone who wants to know about how to work as an electrician in Australia. The article is nice and it’s pleasant to read. I am very thankful for this type of information. Hello Lambert and thank you for your feedback! We’re more than happy to help everyone. Hi my name is Abhilash from India residing in Dubai.I have 14 years experience in electrical works.I would like to know how to get an Australian visa. Hello Abhilash, and thank you for contacting us. Hola, I am trying to find my Peruvian friend a job here as an Electrician. He has heaps of experience, Peruvian qualifications and is an incredible worker, ideally would be good to get him a job in Sydney but anywhere in Australia would be better than nothing at all. Can you please advise on how best to go about this? Hello, I have 13+ years of experience with electricity in Macedonia. I have Macedonian certificates and diplomas. What should do so I can start working in Aus?